NOTE: This salad needs to marinate at least 8 hours in the refrigerator. Make it the day before you plan to use it! Whisk together the vinegar, oil, sugar, and salt in a small bowl. 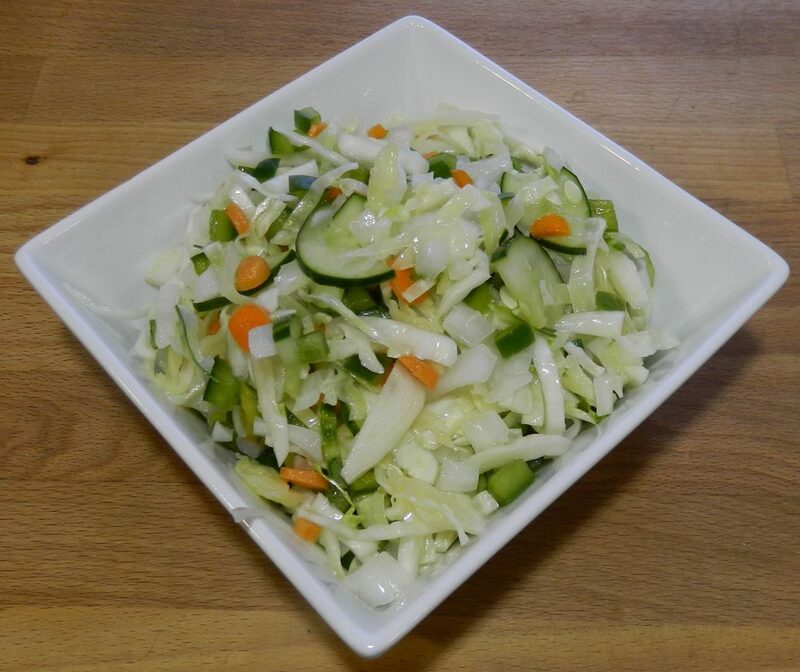 Mix cabbage, onions, carrot, pepper, and cucumber in a large bowl. Top salad with the dressing, cover with cling wrap and refrigerate 8+ hours. 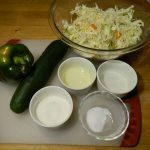 Toss before serving and use slotted spoon for serving since water from the cabbage and cucumber collects in the bottom of the bowl. This crisp, refreshing salad stays crunchy for about three days. Good thing since it makes a huge bowl!